For over 4 decades San Francisco Cosmetic Dentist Dr. Edward L. Loev, DMD, and his team have taken their role as healthcare practitioners very seriously. “Our goal has always been to provide patients and their smiles with the best possible service and care,” says Dr. Loev. In our perfect world, our patients’ would have no out of pocket expense and would be able to use their allotted benefit in its entirety for what they need or want when and where they want to. Unfortunately, this is not how dental insurance works. Dental insurance is increasingly playing a larger and larger role in helping people obtain dental treatment. This part is great and those fortunate enough to have access to dental insurance should feel fortunate. However, since we strongly feel our patients deserve the best possible dental care we can provide, and in an effort to maintain the highest quality of care and dental education, we would like to share some facts about dental insurance with you that you might not know. FACT #1: Unlike medical insurance which often pays a large portion of expenses after deductible or co-payment dental insurance is not meant to be a pay-all; it’s only meant to be an aid. FACT #2: Insurance companies spend a lot of money on marketing, promotion and “creative copy”. That said, many plans tell their insured that they’ll be covered “up to 80% or up to 100%”. In spite of what you’ve been told, we’ve found over our decades in practice that most plans cover about 40% to 60% of an average fee. Some plans pay more – some less. Ultimately, the amount paid by insurance is determined by how much your employer paid for the plan. The less the employer paid for the insurance, the less you’ll receive in insurance benefits. FACT #3: It has been our experience and that of many dentists that many insurance companies often tell their customers that “fees are above the usual and customary fees.” Sadly, what they should really be saying is “our benefits are too low”. Remember, you as an insurance enrollee only get back what your employer puts in less the profits of the insurance company. The less the insurance pays out the higher their profits! FACT #4: Many routine dental services are NOT covered by insurance carriers. One would think that insurance companies would be eager to provide coverage for cheaper, less involved procedures such as multiple cleanings, deep cleanings or small fillings so that patients could avoid more costly procedures and surgeries. This is sadly not the case. For example, many insurance companies recently instituted a policy that patients will not have coverage for deep cleanings until their periodontal disease (gum disease) has progressed to the point of bone loss. “This is crazy!” says San Francisco Dentist Dr. Loev. Bone loss and the accompanying health impact of advancing disease can generally be avoided or at least reduced with the proper home and professional care. Why wouldn’t they want to be proactive? FACT #5: Insurance companies will often “down-code” or apply an “alternate benefit” to a procedure in order to pay less. A very common example is when an insurance company will only pay a composite (tooth-colored) filling at the rate of a silver (amalgam) filling. Most dentists haven’t done an amalgam filling for a very long time. Your dentist wants to provide the BEST dentistry; your insurance wants CHEAP. FACT #6: Dentists charge the same fees to all their patients, regardless of the insurance coverage. Every insurance company has its own fee schedule. Many plans actually have fees schedules based off of a large geographic location. For example, one would imagine that fees in rural Ohio would be lower than in New York City, right? Don’t be so sure, proximity is a very common criterion used in determining allowable fee. This might be a pretty good thing for those in rural less affluent areas, but those of us who choose to live in Metropolitan areas this practice is almost punitive. Most of the time, the fee paid by the insurance company is lower than the fee charged by the dentist. In some parts of the country, most dentists are not participating providers in dental plans for this exact reason. However, in many Western States such as California, Colorado, and Arizona an “insurance-centric” culture is in place. We have long discussed why this is the case out here but not on the East Coast and have yet to have an answer. For some reason, maybe extra powerful insurance marketing, patients on the West Coast often take an almost adversarial view of their health care providers (who are out to make an honest care based living) rather than realizing that their providers, not their “for-profit” health insurance are on their side. We want you healthy, smiling and returning to our care for many years; they want their premiums. FACT #7: Your insurance company will often try to encourage you to use a “Preferred Provider”. These dentists are “preferred” by the insurance company because they have agreed to reduce their fees to what the insurance allows in order to get/keep more patients. Reduced fees sounds great, right? Maybe not… In order to provide care with such dramatically reduced fees (often between 50-60% of dentists’ actual fee) dentists often struggle to maintain the quality of care they feel that their patients deserve. Sometimes, they shorten appointment times, other times they stop offering the care packages (dentists pay for toothbrushes, toothpaste & floss they are not free), in some cases, though not condoned they result to using lesser known supplies or laboratories to offset the loss. Insurance companies call this 40-50% hit that the dentist take “marketing expense. What do you think? San Francisco Dentist Dr. Loev has been in practice for many decades and has seen a huge changed in the way dentistry is performed and paid for. In the past couple of years an insurance company that is a leader in California but shall remain unnamed, paid special visits to established general dental practices in the Bay Area who had a large market share. They wanted to increase participation in the cheaper (for the insurance company) PPO programs. The dentists visited were told that many large employers in the area had named them as a “favorite provider” and that unless they signed up for their new PPO plan (very low 50% reimbursement of the already reduced regular insurance plan) the employers would be told that the provider is “greedy” and puts profit over patient care. Some less established practices felt obligated to sign-up for this plan. Sadly, other plans followed suit and many of the practices that took that leap were forced to use those cheaper materials, cheaper foreign dental labs, and the cheapest staff they can find in order to stay afloat. Be aware of what you get! Dentists go to school to care for patients and make a reasonable living but if a deal for dental care looks too good to be true, it probably is. 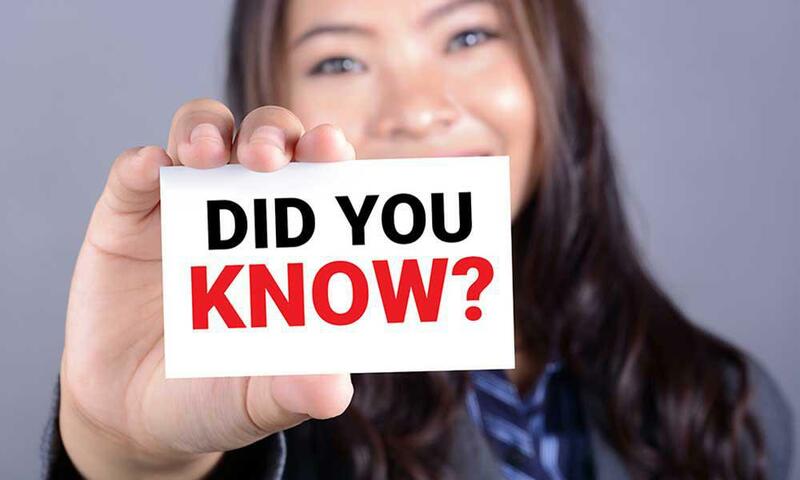 FACT #8: No dental insurance existed in the United States until 1954 when California introduced the first plan (no wonder we are insurance-centric out here!). The number of insurance programs, like the ones we are familiar with today increased through the 1960’s and by the time the 1970’s came along, these plans were everywhere. Annual maximum benefits for dental plans back then were usually around $1000! Hmm, sounds familiar doesn’t it? That’s because insurance maximum have barely increased over the past, 40 years and are usually still between $1000-2000/ per year. Premiums have increased, right? Absolutely! While inflation rolled along its merry way, powerful insurance companies dug their heels and said, “Nah, we’re good, right here.” We did some calculations and based on the rates of inflation and increase in fees and premiums had insurance kept up with respective increases, the average annual maximums would be close to $10,000. WOW!!! Can you even begin to imagine what coverage that actually reflects the increase in expense and time could do for our dental health? Don’t hold your breath…It would be amazing but it will never happen. FACT #9: As long as your insurance plan allows you to choose your own dentist and doesn’t require that you assign yourself to an office you will receive benefits at a non-preferred provider dental office. In spite of what your glossy insurance brochure tells you, benefits are paid when you choose your own dentist. In fact, while the fee charged by the dentist will most likely be higher so will the insurance reimbursement and often the quality of care provided. FACT #10 Your dentist does not work for insurance companies and they are not required to submit claims on your behalf. Dentists, mostly those on the West Coast hire staff to submit claims to insurance on behalf of patients as a value-added service. Most dental practices on the East Coast require that patients pay for services in full at the time of service and get reimbursed by their dental plan after they submit claim forms themselves. While expensive for the dentist, most West Coast dentists are happy to provide this service and even happy to allow patients to only pay their estimated portion for services provided. Insurance companies by law have 30 days to respond to claim requests and most plans, even the best ones take weeks to send dentist payment on these claims. So when the insurance company sends you a form stating that the “dentist failed to provide requested information”, “your dentist has not provided necessary procedure information,” don’t get angry at your dental office or take the insurance companies word for it. Please remember that it is in your dentist’s best interest to provide proper information and get you the largest benefit possible the first time. Every time your insurance sends one of those letters (sometimes even with the supposedly missing information stapled to it) they gain another 30 days. Just saying!! With all of the questionable news coverage and insurance information put out there, it is easy to forget who is actually on your side. Remember, your dentist chose to spend many years in school and continuing education so that they could care for you. A dentists’ most powerful tool is her or her skill, empathy, care and gentle touch. Until recently the “business” of dentistry was not even taught in dental school. With a few exceptions, your dentist wants what is best for you and your health. When they suggest treatment it is for your good even if the insurance company may say otherwise. Dentists, their teams, and businesses thrive when they create environments of care, trust, and mutual respect. Getting new patients is exciting but hard work. Most dentists don’t want to jeopardize hard-earned good feelings and patient loyalty by doing things that are not in the patients’ best interest. Trust your dentist and his or her treatment or suggestions! If you don’t, find a dentist and practice that you can trust and work together to maintain a happy healthy smile.